Studying for exams is quite daunting for children and grown-ups alike. Here is a list of easy ways to study for exams . These easy ways to study and remember will help students of all ages. In order to avoid last minute stress and rush, study every day after school. Revise what has been taught in class for about 20 minutes for each subject and you will figure out right at the start the easy ways to study and remember when the test comes around. While revising your class notes or concepts, make notes in the margin with associations and key words to come up. 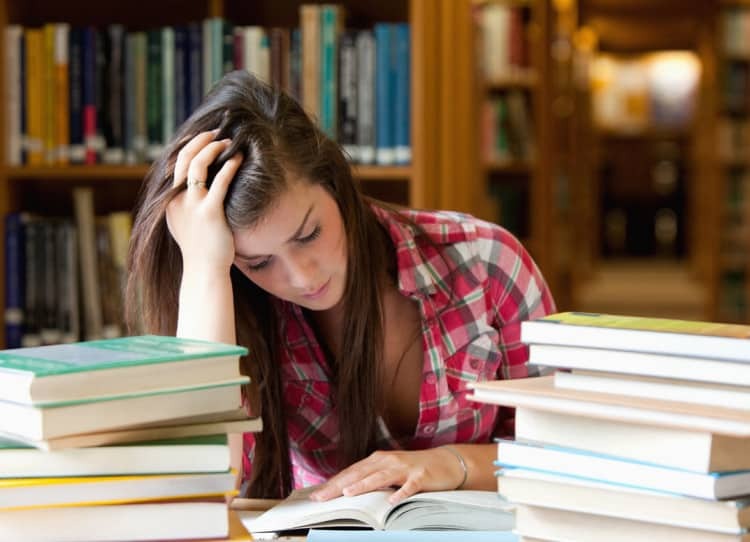 These easy ways to study for test can help you out later during the main examinations. Every morning, wake up at the same time and go through a set routine like brushing, washing, and eating a healthy breakfast. If you have a routine in place, you will be in a better position to follow it diligently even on the exam day without stressing out. If you fall into the habit of waking up earlier than needed to just get to school, you will not only master the easy ways to study and remember but also have adequate time in the morning for a quick revision without having to sacrifice breakfast. If you study every day after school, you can easily come up with key words that will help you recollect the entire concept without having to cram everything just before the exam. Coming up with key words and mind maps and associating them with specific everyday objects and events is one of the best and easy ways to study for test which will help you immensely before the final exam. Once you are done with a particular chapter, write down notes in a separate notebook describing the concepts and given examples. Also, write individual answers to practice questions that you find at the end of each chapter. Physically writing down answers to each of the practice questions after every chapter is one of the easy ways to study and remember and comes handy when studying for final exams. Choose a few quiet places like your study room, library, the family room or the basement/attic when other members of the family are busy with their own tasks. You could even study in a quiet spot in the community park. The subtle associations your mind makes to the subject matter and surroundings will help in better retention. Studying at secluded and calm spots will also help you stay away from the phone and other devices that distract you from studies making it one of the easy ways to study for exams at a later point. Even if you haven’t studied all year so far, you can still get on the track by selecting a study partner. Find someone you get along with easily. Divide your syllabi amongst yourselves and make mock – tests for each other and grade each other. This will help you understand how much you have actually learned and how much more you need to study. Having a study partner early on is one of the easy ways to study for exams and also one of the important easy ways to study and remember. Review your syllabus and decide which topics will take more time or which topics you haven’t completely understood. Even before your exam schedules are handed out, talk to teachers about exam patterns to help you conceptualize your learning. Prepare charts to learn and revise. This helps you keep you on your toes when it comes to finding easy ways to study for tests. Whether it is before the exam or during the academic year, do not stay up nights studying or doing anything else unless it is absolutely essential. Plan your homework well and avoid night outs as they do not help with memory/retention. Instead, they drain you of your energy and clash with your morning routine that you have carefully cultivated. Even as you start the academic year, practice being calm and relaxed. Studying a little bit every day helps with this process. Go for walks without gadgets to distract you or exercise a bit. For children, getting involved in physical activities/ outdoor games with friends at least for an hour each day can help release tension and make the mind sharper. When studying for unit tests and drill tests time and make notes. This will help you while drawing up your final exam revision schedule. You will understand your shortcomings when it comes to specific topics and subjects and you can create a practical revision schedule which you will be able to stick to. This is one of the best and easy ways to study for test and easy ways to study for exams. Calm yourself by applying deep breathing techniques and go to bed on time listening to music that soothes you. Have supper with your family in a quiet manner, just the way you would on any other night. Make sure that your stationery supplies etc are neatly set and ready to carry the next morning. Do not skip your morning routine and have a light, yet hearty breakfast. Make it to the exam hall with a few minutes to spare in case you are required to find the right room. If it is a long test and getting back home takes time, carry a snack. Study the questions thoroughly and attempt ones you know well first. Then, move on to the questions you are not quite sure of. If you have followed a healthy studying regimen all year, it will be easy to focus and not stress out. Check whether you have answered all questions before handing the sheets over. Recheck your answers and see if you have made any spelling mistakes or omitted something. Ensure filling your name, student number etc. in the right place and that all the answer sheets are in order. Even if you haven’t studied everyday during the academic year and need to come up with easy ways to study for an upcoming test, it is not too late to start now. You still have plenty of time to revise and you can also redo past tests and time yourself. This will help you draw up an efficient and practical final revision chart and help you stay focused. All the best!